Aquarium [Аква́риум] is a Russian rock group, formed in Leningrad in 1972 by Boris Grebenshchikov, then a student of Applied Mathematics at Leningrad State University, and Anatoly "George" Gunitsky, then a playwright and absurdist poet. In the 1970s and early 1980's, rock and roll was banned in the Soviet Union (exception was given only to a few government-approved artists), and Aquarium's usual concert venues were private apartments. These concerts were a unique Soviet phenomenon, created by underground musicians. They were usually "unplugged", as noise would cause the neighbors to alert the authorities. The limited space fostered an atmosphere of intimacy between the group and its audience, listening with bated breath, with perhaps someone recording it on a simple tape recorder. This was similar to the concepts of the Russian bards, however Aquarium were (admittedly) much more influenced by Western music, particularly by The Beatles, Bob Dylan, David Bowie, progressive rock acts Jethro Tull, King Crimson and Roxy Music and also reggae. Thus their compositions were considerably more complex and their lyrics covered a broader range of topics, showing Grebenshchikov's notable erudition in Celtic and Indian cultures, among other things. Until 1987 Aquarium recorded all of their albums in a self-assembled underground studio (several members had engineering education) disguised as a "Young Technicians Club" (for the album Radio Africa (1983) a government-owned mobile studio was secretly used, after bribing a technician). Despite those hard conditions, the recording quality was rather high and Aquarium's albums between 1980 and 1987 are considered by most fans as their best. The advent of Glasnost in 1985 brought many underground Russian rock musician to public recognition and Aquarium became one of the most popular acts. They were allowed to play in large concert halls, appeared on the state-owned television and recorded soundtracks for several films, most notably ASSA. In 1987 they recorded their first album for the state-owned Melodiya record label. With official backing and legalized distribution the album was a huge hit in USSR, selling well over a million copies within a few months. This was, however, the last album recorded by this Aquarium line-up and the band broke-up shortly afterward. 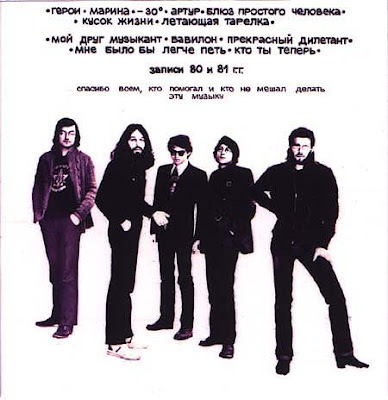 Grebenshchikov released two albums in English and toured with several different backing bands. In 1991 after the break-up of Soviet Union he released under the name BG-Band The Russian Album, a collection of melancholic folk songs influenced by his travels all over Russia and demonstrating a return to his Russian roots. Shortly afterwards BG-Band was renamed Aquarium although most of the musicians were different. This band continued to release more albums and touring extensively all over former Soviet Union and Eastern Europe and also appearing before Russian immigrant communities in Germany, Israel and United States. Although often criticized for departure from their original style and constant line-up changes which make Aquarium essentially a Grebenshchikov solo project, the group still enjoys huge success in Russia - their songs, old and new, get a lot of airplay, they albums sell well, and they tour constantly. Aquarium today consists of Boris Grebenshchikov, Boris Rubekin (keyboards), Andrei Surotdinov (violin), Vladimir Kudryavtsev (bass), Albert Potapkin (drums), Oleg Shar (percussions). The first side of the album is Aquarium’s live performance (recorded during the rock festival in the town of Gori (Festival Tbilisi-80). Keyboards: Latvian composer Martinsh Braun (Riga). This album has a tangible punk feel. 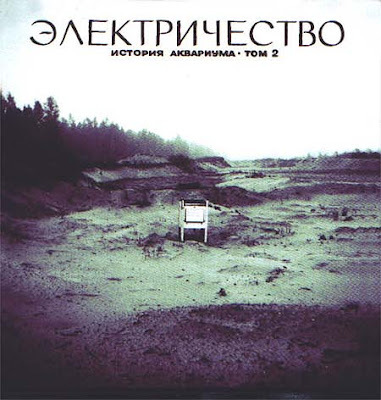 The second side is a studio recording (Andrei Tropillo Studio). It is “a wild outburst of our concepts of reggae & dub” (B.G.).! it should contain only 12 tracks. if so, everyone should download the last 15th track called "White Reggae", wich is missing in the upload. and enjoy this really huge aquarium collection! My other recomendation from the section "Aquarium incognito" is "Kwartett Anny Kereniny" (1994). Then there is the 1982 concert "Elektroshok" with a track 7, named " In Strawberry Fields for ever" (but that's no Beatles cover). I personally favour the "Russian Album" of 1991. But in the end everybody's got to find out himself. Grebenshchikov has stated rather early that "Rock'n'Roll's dead - but I'm not yet" and he keeps trying out lots of different stuff since. Most excellent to find this! Thanks for posting.